Necessity is the mother of invention; especially as it pertains to a ketogenic girl who misses her maple syrup. You see I love me some vanilla sour cream keto pancakes with bacon on Sunday mornings. The only thing missing was maple syrup. I thought to myself, how hard can this be? I had some stevia simple syrup on hand from my research on the best keto approved sweeteners. It's made by a company called NuNaturals and is just natural stevia mixed with glycerine & water to make a simple syrup. Glycerine is derived from animal fats and has a naturally sweet taste. Glycerine is commonly used as a sweetener in diabetic foods since it doesn't raise blood sugar levels; which is what makes it perfect to use for a ketogenic/low-carb diet because it has 0 calories and 0 carbs. 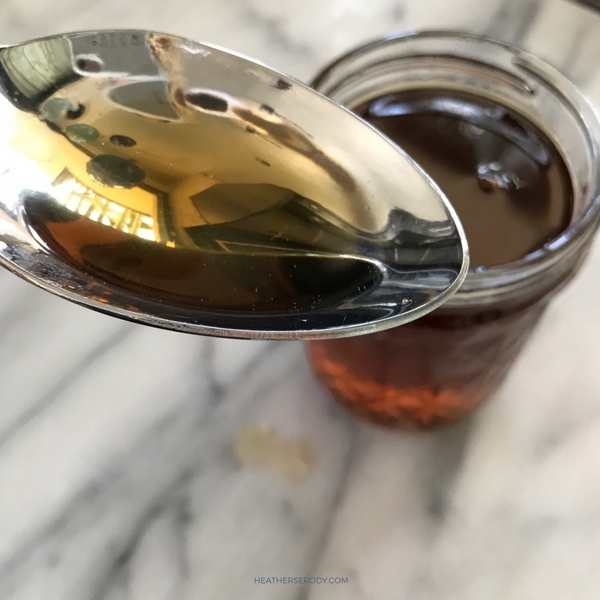 I added my favorite brand of all-natural maple syrup flavoring to the stevia glycerate and experimented to find the right ratio. As kismet would have it, 1 cup of stevia simple syrup mixed with 1 Tbs. of maple flavoring pretty much perfectly replicates the taste of maple syrup, in my humble opinion. 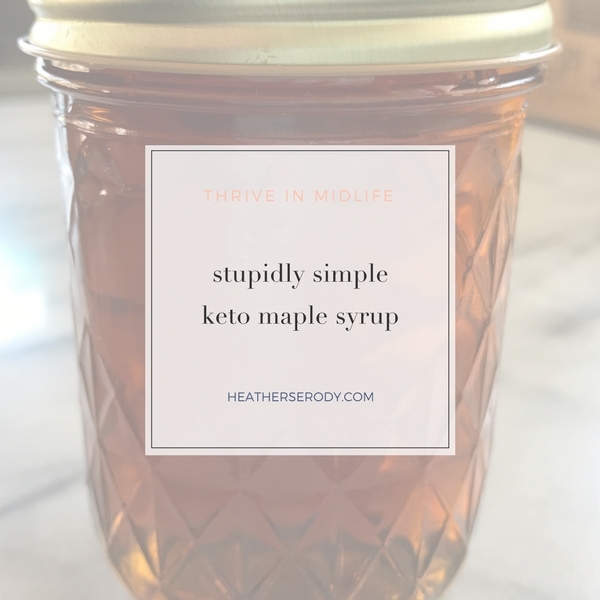 the only difference is that my keto maple syrup has a slightly thinner consistency than store-bought maple syrup. Can you see me doing the happy dance just thinking of all of the yummy fall things I'm gonna be making again?! But first, I'm gonna really enjoy these pancakes. Stay tuned for more maple syrup-inspired recipes. Add ingredients to a glass jelly jar, cover and shake well.